The replica had been refined by the Myriad G.o.d Patriarch for five hundred thousand years and was named the Concealed Dragon Cauldron. The Myriad G.o.d Patriarch would have liked to use the Ascending Dragon Cauldron for alchemy, as it would lead to excellent results. However, since the Myriad G.o.d Patriarch had no control over the Ascending Dragon Cauldron, it was little more than a dream for him to use it for the refinement of relics. "My dear disciple, you will be entering the cauldron in a while. You might suffer some physical pain but that cannot be helped. The refinement of the Dragon Emperor Relic requires your soul to be conscious for long periods of time. Only then can it ensure the vibrancy of your bloodline. I will control the fire's heat, preventing it from exceeding what your body can bear. Also, rest a.s.sured, for I have been tempering your body all these years, feeding you all sorts of heavenly treasures. Many of them have allowed your body to undergo a complete renewal and metamorphosis. As such, you should be capable of enduring the burning flames for long periods of time. It shouldn't be a problem for you to last three days and three nights." However, his resistance failed to bear fruit in front of the Myriad G.o.d Patriarch. "End your own life? No, you won't. You are my disciple. How can you do something that's unfavorable to me, your master? I have planted dozens of Soul Seeds in your body. You accepted these Soul Seeds through your own free will. I don’t want to waste these Soul Seeds but, if I use them, I will be able to influence your soul sea to a certain extent. With that, you will absolutely not be able to end your life." The Myriad G.o.d Patriarch smiled. In Feng Yunyang's eyes, the smile appeared sinister and extremely horrifying! He was on the verge of a mental breakdown. "My dear disciple, I have prepared so much for you. So experience it obediently. Tell me if you have any last wishes. I will grant them for you," said Myriad G.o.d Patriarch amiably. His voice sent shudders through the hearts of Feng Yunyang, as well as the rest of the Myriad G.o.d Ridge disciples. They had been lied to. 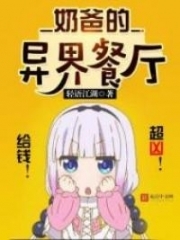 Other than the Myriad G.o.d Sect Master and the old woman, no one knew why he had taken Feng Yunyang in as a disciple! "Can't you see? This old b.a.s.t.a.r.d has never placed any importance on the Myriad G.o.d Ridge! All of you pride yourselves on being Myriad G.o.d Ridge disciples and have been working hard to establish the Myriad G.o.d Ridge as a mighty sect, but in that old b.a.s.t.a.r.d's eyes, it is all a joke!" "He doesn't mind exposing his gruesome side to all of you. In order to make Feng Yunyang into the catalyst herb he needs, he has fooled all of you. He doesn't care about losing the faith of his disciples because to him, the Myriad G.o.d Ridge is nothing but a tool!" "Do you think any one of you will be able to escape after coming to this sealed world? All of you might be used as blood sacrifices or even be silenced. What are you standing there in a daze for? Let’s work together and kill that old b.a.s.t.a.r.d!" The Myriad G.o.d Patriarch looked at Yi Yun as well. His gaze revealed a few hints of surprise as well as mockery. The Myriad G.o.d Patriarch suddenly applauded. "Very well. Is this your last ditch effort to survive? By stirring up the ma.s.ses, making everyone here attack me? I never imagined that you would think of such means. It's somewhat interesting." "Blood sacrifice? Silencing? You sure have a vivid imagination. These people do not even have a modic.u.m of dragon race bloodlines. What would be the point of a blood sacrifice? As for silencing them…the Myriad G.o.d Ridge is indeed a tool to me. I’ll admit that. But I have honed this tool for millions of years, so why would I so casually throw it away?" When the red-dressed boy said those words, the thoughts of an uprising among the various Elders and personal disciples lessened slightly. Yi Yun's words had indeed stirred their fears but even now, they did not dare to take up arms against the Myriad G.o.d Patriarch. The old fellow was just too terrifying. Instantly, the mood heightened. All the disciples and Elders of the Myriad G.o.d Ridge began to panic. They knew that Yi Yun had deliberately announced the secret to force the red-dressed boy to silence them. This punk was f.u.c.king cunning! Although they hated Yi Yun to the death, they were more afraid of the Myriad G.o.d Patriarch. At that moment, survival was of the utmost importance. He was like a G.o.d, with his body being the laws of nature. The powerful aura within him radiated outwards, leaving people overcome with a sense of fear and awe. It was impossible for them to muster the courage to resist him! "Patriarch, your celestial might is invincible. You will share the same age as the Heavens and Earth, and be as l.u.s.trous as the sun and moon! Regardless if the Myriad G.o.d Ridge exists or not, I, Cang Wu, am willing to loyally follow the Patriarch to the death!" As the sect master's eldest disciple, he was good at judging the situation. Back when he saw Yi Yun lose favor, his att.i.tude towards Yi Yun made an obvious shift. It was impossible for him to resist the Myriad G.o.d Patriarch. On the contrary, by wholeheartedly being the Myriad G.o.d Patriarch's loyal dog, there was a chance of him surviving and maybe even be bestowed benefits by the patriarch. If all else failed, he was even willing to sign a soul contract. People are like sheep that can be easily influenced. The surrender of a huge army in war simply needs one person to put their weapons down first. With Cang Wu being that person, many others began to pledge their allegiance towards the Myriad G.o.d Patriarch. "Patriarch, your celestial might is invincible. You will share the same age as the Heavens and Earth, and be as l.u.s.trous as the sun and moon!" More and more people submitted. The Myriad G.o.d Patriarch had been running the Myriad G.o.d Ridge for years so his authority was not easily questioned. No one dared to challenge him. "You are only a mere catalyst herb but you actually schemed to incite my subordinates to rebel. I have really underestimated you. In fact, I once debated whether or not to kill you half a year ago. In the end, I placed too much emphasis on your bloodline and let you live. I kept having the feeling that your bloodline is far from normal! Since I have already brought you here, there is no escape for you at all. Just submit and be a good princ.i.p.al herb!" "Take them all out," said the red-dressed boy. Following that, the Myriad G.o.d Sect Master waved his hand and a spatial abode flew out of it. From the spatial abode, he grabbed a few people out! These people were dressed in Myriad G.o.d Ridge disciple attires but all of them had their eyes tightly closed. They were pale and their vibrancy had been sealed completely. You're Read True Martial World Chapter 1271 online at NovelOnlineFull.com. You can use the follow function to bookmark your favorite novel ( Only for registered users ). If you find any errors ( can't read,broken links, can't load photos, etc.. ), Please let us know so we can fix it as soon as possible. And when you start a conversation or debate about a certain topic with other people, please do not offend them just because you don't like their opinions. You're reading True Martial World. This manga has been translated by Updating. Author(s): Cocooned Cow,蚕茧里的牛. Already has 4909 views. Current Time is 19-Apr-2019 16:48:22 PM.